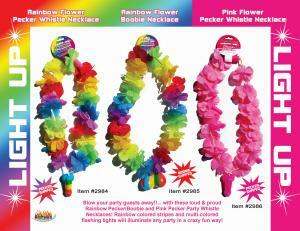 Rainbow Light Up Flower Pecker Necklace taste the colors of the rainbow. Please note shown with 2 other fun necklaces, not included. Sold separately.